the face of Wazobia FM,Omotunde Adebowale David. 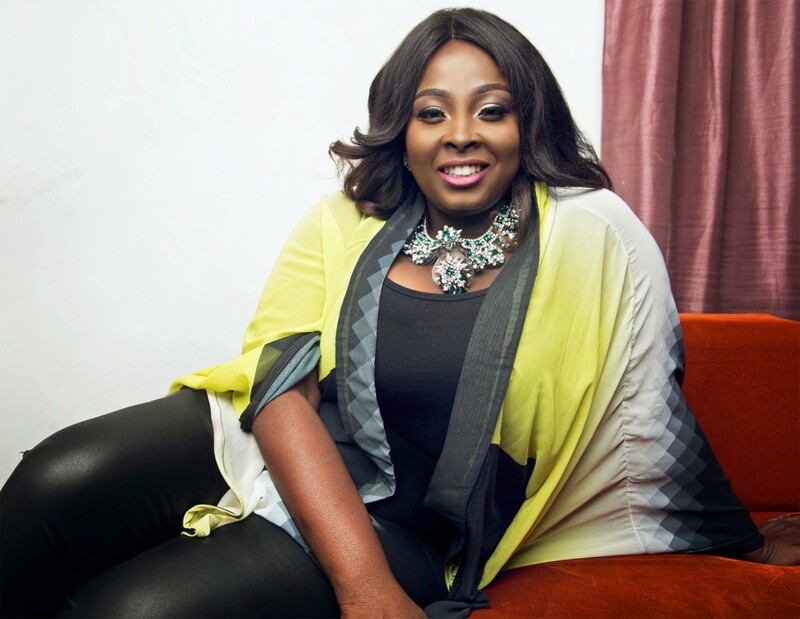 Nigeria’s Lolo 1 – the madam who is the face of Wazobia FM’s ‘Oga Madam’ radio programme, was born Omotunde Adebowale David. She has over the years, excelled as one of the country’s best comediannes – on air, on stage and on the silver screen. In a recent interview with This Day, Lolo talks about plans to remarry, her failed marriage, children and lots more. On her family, the plus size silver screen diva, revealed she has four adorable kids with her estranged husband before their union met with brick walls. I have four amazing kids"three sons and a daughter. I am single. I met a lot of people saying, ‘Oh my God, this entertainer is divorced.’ Yes, my divorce is a mutual thing. It’s nothing to fight or quarrel about. My family life is private. I will not drag the father of my children on the pages of newspapers. He doesn’t deserve that. It’s not a quarrel; we might have issues that we are dealing with personally as people. But it doesn’t mean that we now have to go and talk about each other (in the public). He’s the father of my children. I respect him for that. It is an important reason we do not talk about it (divorce) on the pages of newspapers. When asked about plans to remarry, Lolo said, if she would remarry, she’ll go for an Igbo man. “Well, yes, but it doesn’t matter where anybody comes from. I gravitate towards an individual. It’s who you are as a person that matters. It’s not where you come from. So, I’m not looking at anybody based on tribe even though it’s not like I’m shopping. I’ll leave that in God’s hands. You know, if you’ve gone through a situation and you didn’t do well, I think it’s time to withdraw into myself – learn a few things about why this (the marriage) didn’t work and what I did wrong. So when I’ve learnt my lesson and healed internally, then maybe I will consider it. It takes time for one to be able to go through it (divorce). Marriage is not a walk in the park like people think. It’s something one signs up for forever and one has a break. That shows one didn’t do some things right. So, as an individual, one needs to get internal healing and work on one’s own personality, so that when one gets into another relationship, one would have learnt her lessons from the previous marriage.” Wondering if there are chances for reconciliation with her ex, Lolo didn’t rule that totally out, she said: “Oh well, I’m not God. Everybody is a work in progress. It’s just that people in the media judge very harshly; because we live our life before people. But I’ve done my best to make it (failed marriage) work and I don’t make it a general topic. It’s a family issue. We’re dealing with it our own way. What kind of childhood did you have? I had a very independent childhood. I stayed in the hostel from primary three. So, I’ve been independent for a long time. I schooled in Ijebu-Ode Anglican Girls and I stayed in the hostel half of the time. That’s where my independence and creativity came from. I was always called to make impromptu speeches. I won a lot of laurels for my school in debates, impromptu speeches and so on. Did your parents approve of your decision to pursue a career in the media? No. You know how parents are then. Even my legal profession was chosen by them. I just got my JAMB form and they filled it. When I told my mom I wanted to act and go into media work, she cried, thinking I would end up earning meagre income despite the years I spent in school studying Law. But now, my mother will tell me she’s my fan.